We recommend you begin painting at least one hour before close. You will love the fun, relaxing atmosphere. Painting pottery is a great activity for any age! Plan a special date with your kids, your friends, or your spouse. You will love the experience, and you will be amazed by what you create. Our studio seats over 70 painters, has a separate party room, and 2 rooms full of over a thousand different pieces of pottery. We believe that you need to right tools to create a beautiful piece of pottery & we provide LOTS of tools for you to use. We have hundreds of stamps, stencils, & patterns and we have many idea books for you to browse through. 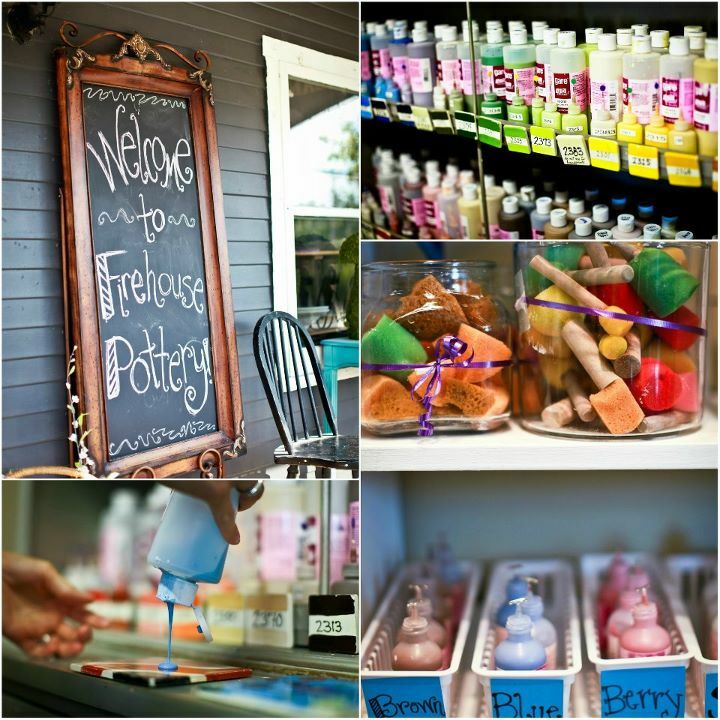 Combine that with the most delightful staff, and you will love creating art at Firehouse Pottery! We LOVE what we do, and we LOVE helping you. Gather, Relax, Get Inspired & Create! The cost is $6/painter plus the price of your pottery. The pottery starts at $3. $15-$20 is the average price.